This earring made in platinum plated Silver,This beautiful moissanite stones have a very high quality with a economical price point that anyone can afford.New type Moissanite silght blue color ,all of them selected carefully by DOVEGGS which the biggest moissanite Jewelry producer. 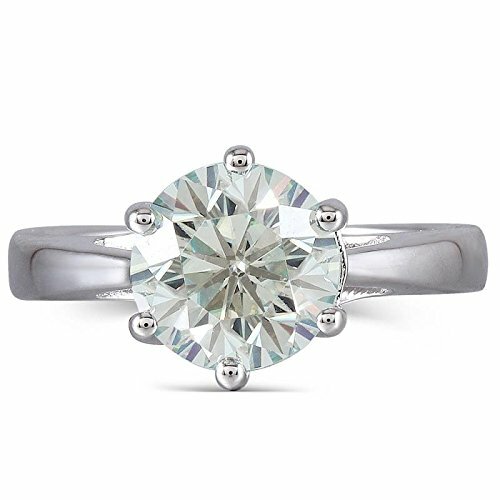 Center stones is 2ct（8mm）new type silght blue DOVEGGS moissanite.And it will never lose their Brilliance or Fire. DOVEGGS Lifetime Warranty and Certificate of Authenticity Includes white (with bow) jewelry gift box and bag.DOVEGGS is new sub-brand of Transgems.